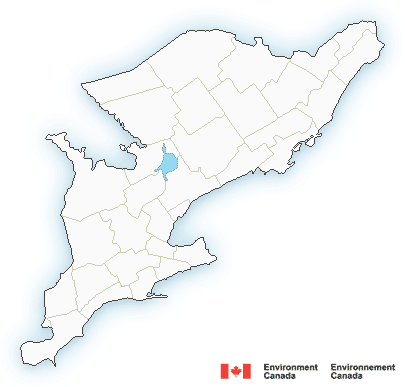 Ephemerata Weather Radar has a severe weather alert feature which is currently in place for the Golden Horseshoe – Greater Toronto Area, and on an as-needed basis for southwestern Ontario and eastern Ontario. Based on radar criteria set in our software, we automatically send out email alerts when certain weather conditions are detected in the NWS KBUFradar scan (or KDTX, KCLE, KTYX or any other NWS site). Subscribers can be placed (at no charge) on the email list to receive either a full alert message with scan image, or a brief text message indicating that the potential for severe weather exists in the zone indicated in Scan A on the Ephemerata Weather Radar main page. Now, weather followers for the GH-GTA and southwestern Ontario can also receive full alerts via Twitter, or as an RSS feed to their newsreader or browser. Alerts are aggregated as issued on our alert archive page, EWRWxalert.wordpress.com, which will only collect alerts and make the occasional announcement. The EWRadar Blog pages will continue to provide information about the main system page and other areas of interest. For Twitter, simply go to www.twitter.com/EWRWxAlert and “follow” our twitter page. The Twitter link leads back to the alert archive page for details. For RSS feeds, the RSS link is at the top of the side bar on the alerts archive page linked above. Drag or capture it as required into your newsreader, and the alerts will feed as issued. So far, our tests indicate that Twitter updates follow very closely behind the alert emails with little significant delay (not the case with many of the 3rd party twitter apps). RSS feeds are limited by your newsreader’s poll cycle time. This may be an important consideration if you wish to use the RSS feed for near real time updates. A note: severe weather for the GH-GTA tends to be most common in the late spring – early summer, with the advent of summer heating and consequent thunderstorms. July and August also produces brief periods of intense thunderstorm activity. In winter, from late November through March, the average number of winter storm days is about 20. Not all are severe, but the area can usually count on two or three significant blizzard or mixed freezing rain days.